Whatever your admissions application essay questions & concerns, you’ve come to the right place. Seriously. 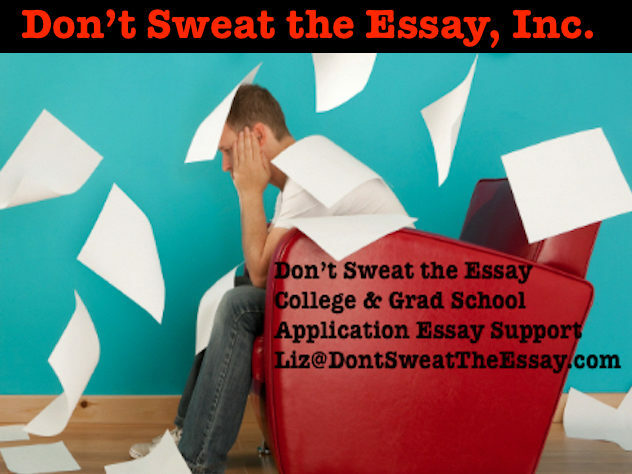 Confused about the Common App college essay, personal statement & supplements? I’m not surprised. Do you have a draft & need a editor, need a tutor to start from the beginning or something in between? I can help. Regular Huff Po College Page Blogger, bestselling author, journalist, public lecturer, one-on-one coach – consultant – tutor – editor – mentor. I work with students everywhere around the world, from New Delhi to New Jersey, from Nairobi, Kenya to Chagrin Falls, Ohio. Acceptances to: Harvard, Yale, Princeton, Columbia, Brown, University of Chicago, MIT, University of Pennsylvania, Cornell, Wesleyan, Northwestern, Tufts, Barnard, Bryn Mawr, Vassar, Smith, Carleton, Middlebury, Pomona, Kenyon, Carnegie Mellon, UC Berkeley, NYU, NYU-Stern, NYU Law School, University of Virginia, UC Berkeley, UCLA, UCSD, UCSB, University of Michigan, UNC, Boston College, Washington University Medical School, Colgate, Clark, Connecticut College, Duke, UNC Chapel Hill, McGill, Skidmore, Art Institute of Chicago, Franklin and Marshall, St. Olaf, George Washington, University of Toronto, Boston University, University of Vermont, SUNY schools, London School of Economics, St. Andrews, Kings College London, Universities of Edinburgh, Exeter, and Warwick.